I am an encourager at heart, full of enthusiasm and energy…always looking to have fun and create memories. I am a Jesus freak and lean into Him daily. 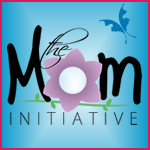 As I peruse the internet I see lots of mom bloggers that are amazing. At first glance it would appear that I had nothing better to add – so why bother. But God would not allow me to just let it go. You see, I am 10 to 15 years ahead of most of you. I have been married 25 years, my children are teens – great amazing wonderful Jesus freak teens. I feel compelled to share, it’s the whole Titus 2 woman thing, I simply must. It would bless me if you chose to visit me often and leave a note because I want to visit you!